« Where the F*** is the NRA?! Tagged Safety, Security, technological hell. Bookmark the permalink. If I had to make a wild-assed assumption, the third, unnamed security company in this article is SimpliSafe, and you appear to be correct on every count. 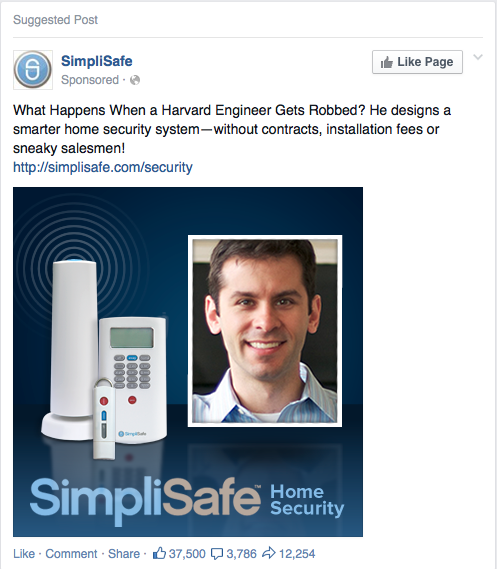 That said, we actually use SimpliSafe, and have for a number of years now. Why? We initially got it when we were in an apartment and moving to another apartment, and wired systems just were not going to work. After that, it was just a matter of inertia. They were initially marketing to apartment-dwellers, and I still think that is a pretty good tactic, but this whole “WIRES ARE TEH EBIL” schtick is just dumb. Still, if you are ever out this way, you are welcome to see how not-secure it is. Our “new” house came wired – we like it. 🙂 Wires are not evil anyhow, they’re just there. While you are correct, it’s still better than no security system at all – as long as you understand its limitations. It’s effective against one of the simpler types of burglar – the ones determined enough that they will not hesitate to force a door or window, but dumb enough or casual enough to not worry about a security system unless they trigger it. It’s good for people who can’t afford or are otherwise prevented from installing a more robust security system.